Set wellness goals and get actionable insights to help you live healthier with full-color, easily-understandable charts and graphs in the convenient phone app or the robust web dashboard. 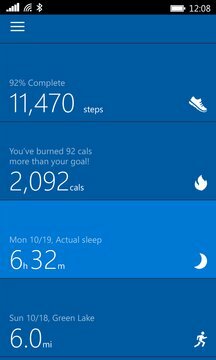 Reach your fitness goals with custom tracking whether running, biking, golfing or working out. 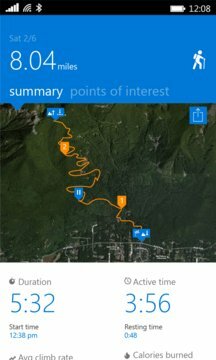 Map your run or ride with GPS, or follow exercise prompts with Guided Workouts right on your band. Stay connected at a glance with email, text, calendar, call alerts, and social updates. You acknowledge that your health and fitness data will be stored and processed in Microsoft data centers, which may be located outside of your region/country. Please see the Microsoft Privacy Statement for more details. Mobile app also available for Android™ and iPhone®.